"This recipe has been a family favorite for over 30 years! 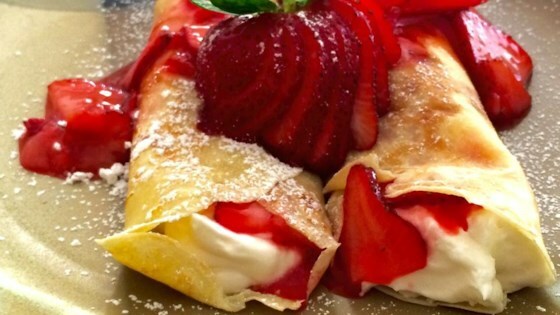 These crepes are delicious and very rich! Be sure you have at least 1 hour to prepare, they are worth every minute!" I made these for my wife for her birthday and she loved 'em!